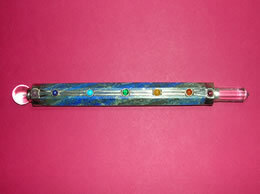 This 7 chakra crystals wand are essential for leading a balanced and smooth life. 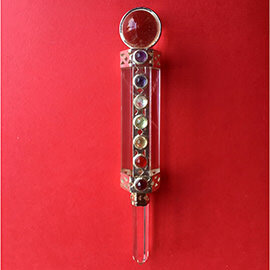 This 7 chakra crystal wand cleanses and enhances the organs and subtle bodies and acts as a deep soul cleanser. 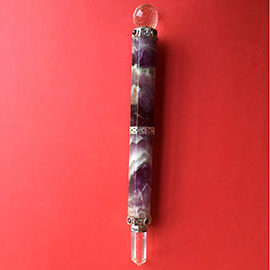 It connects the physical dimension of your mind to your soul. 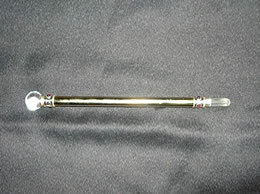 The clear design of the wand enhances psychic abilities. 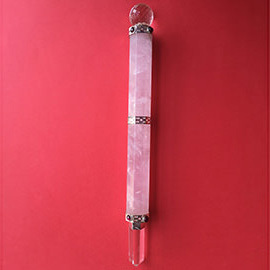 It aids concentration and unlocks memory. 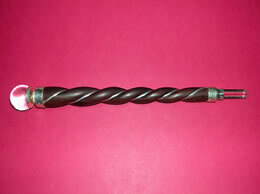 Stimulates the immune system and brings the body into proper balance.